Sundt Construction was honored with the Industry Partnership Award from the Mining Foundation of the Southwest. Sundt: Sundt Construction Inc. was honored with the Industry Partnership Award from the Mining Foundation of the Southwest. The Industry Partnership Award was given in recognition of Sundt’s advocacy for the industry and the company’s work on numerous mining-related construction projects. 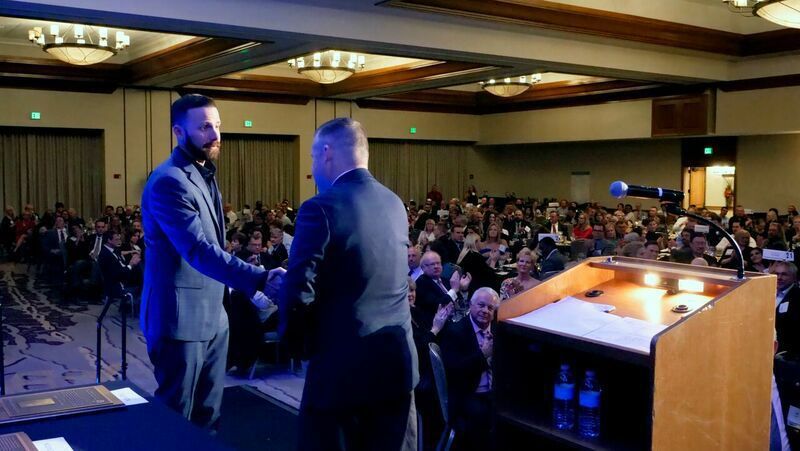 Coldwell Banker Residential Brokerage: Diane Marzonie, an affiliate agent with the Tucson-Foothills office of Coldwell Banker, received the Outstanding Service Award from the Tucson Association of Realtors. Marzonie has 14 years of real estate experience. Catalina In-Home Services: Catalina In-Home Services received the 2019 Best of Home Care Leader in Excellence, Provider of Choice and Employer of Choice awards, the only company in Tucson to receive these three awards for three consecutive years. Town of Oro Valley: The town of Oro Valley was recognized by the Healthy Arizona Worksite Program as achieving the Gold Award level of excellence in worksite wellness. The Healthy Arizona Worksite Award recognizes employers that are making efforts to positively affect the health and well-being of their employees, their families and their community by implementing comprehensive worksite wellness strategies. Submit items to business@tucson.com; please use “Biz Awards” in the email subject line. Honors earned by Southern Arizona businesses, leaders, organizations.